In sad news, mega-publisher EA has laid off a number of employees. While the exact number of people suddenly finding themselves looking for new work is currently unknown, reports claim that EA Mobile Montreal was the primary focus of the job cuts. That studio employs 300 people, and while specifics are unknown, it seems likely that a relatively sizable percentage of the firm was let go. Polygon questioned EA about these cuts, and the company was as diplomatic and evasive as you'd expect a major corporation to be when discussing firing decisions. 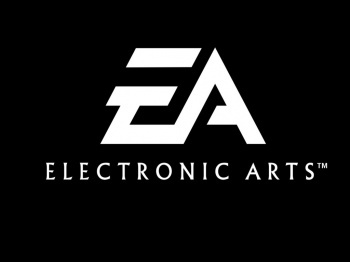 "EA is sharpening its focus to provide games for new platforms and mobile," the firm states. "In some cases, this involves reducing team sizes as we evolve into a more efficient organization. These are difficult decisions to let go of good people who have made important contributions to EA, and whenever possible we retrain or relocate employees to new roles. Streamlining our operations will help ensure EA is bringing the best next-generation games to players around the world." So, business as depressingly usual then? It's sad, but the reality of the games industry is that the vast, vast majority of people who work in development are eternally expendable, particularly once a given project has been completed. This is why you always see an increased likelihood of layoffs after a major game hits store shelves. These layoffs are undoubtedly sad news, but those working at EA Mobile Montreal and the other wings of the corporation affected by the recent cuts should be well aware of the volatility of the industry in which they work. Unfortunately, with so many people seeking out gaming industry jobs as their "dream profession," corporations like EA are free to hire at will, comfortable in the knowledge that there will always be someone else out there capable of doing the same job for less money - much less if we're talking about recent college graduates, who are a prime target for publishers and developers as they're usually too poor and naive to demand proper treatment from their employers. We wish all former EA employees luck in finding employment elsewhere in the industry, and further hope that this transitional period is a positive, and that they end up better off than they were before.